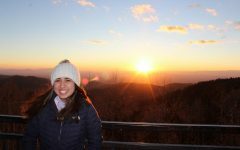 Alexandra Torres '19 maintains balance with the obstacle of her vision being impaired to due to the "drunk goggles." 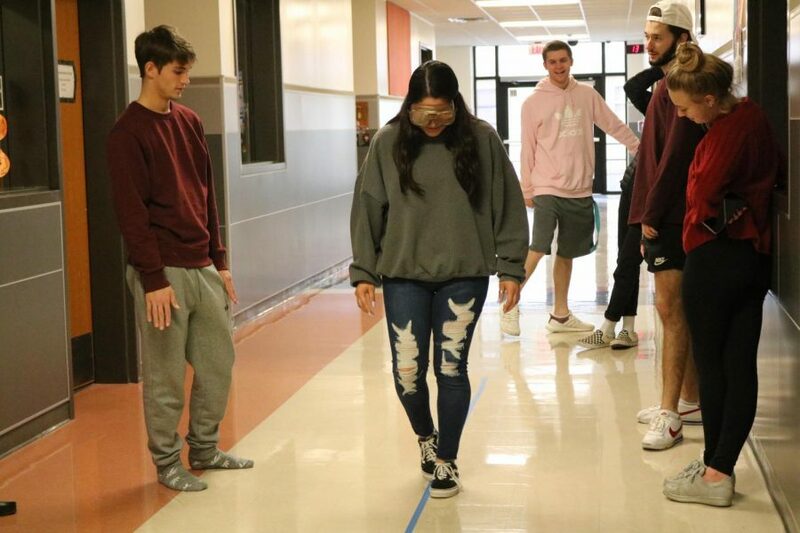 On Monday, Feb. 11, students from Mr. Youn’s AP Statistics class took to the halls to test out “drunk goggles” as part of a project to compare statistics of the errors they made when taking a sobriety test. A sobriety test is designed to show whether someone is under the influence of alcohol which the goggles recreated by interfering with the students’ vision. Students first took the test without the goggles, keeping track of the number of infractions they had, and then tried again while wearing the goggles. 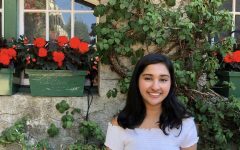 The project was a way for the students to have fun while still learning and applying the math to a simulated situation. Students then calculated the results of the experiment in class and compared the statistics of the girls to the boys. “It’s fun to see everyone mess up and they look really funny with the goggles on,” Larrea said.